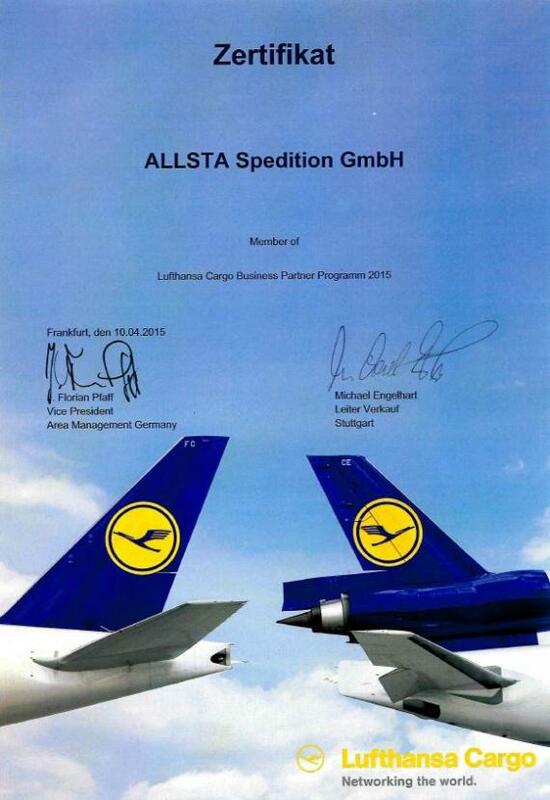 ALLSTA Spedition GmbH, who were awarded exclusive UFO representative in Germany in March 2002, are delighted to report that they have once again been nominated for Lufthansa Business Partner Program. 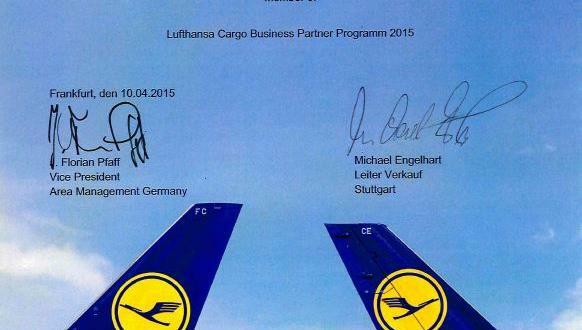 The Lufthansa Cargo Business Partnership Program incorporates those customers who have achieved outstanding results in terms of revenue and have proved their loyalty. Lufthansa Cargo in its turn, guarantees a consistent approach to improving processes that are designed to meet and exceed the needs and expectations of its’ valued customers. The result of this close collaboration is that the entire transport cycle is more effective and efficient, providing a high level of satisfaction and benefits for their air freight customers. ALLSTA Spedition were also awarded International Member of the Year at the recent UFO Annual Network Meeting in Bangkok for the 4th consecutive year (as pictured). 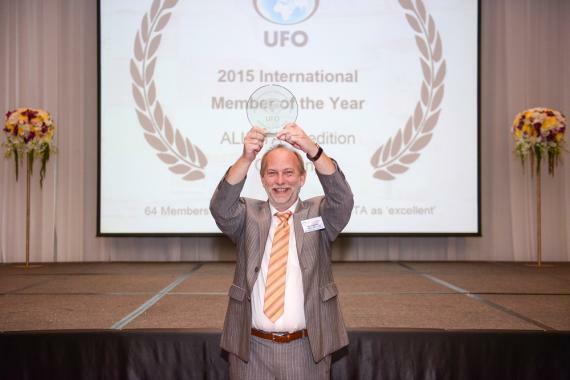 Congratulations to all at ALLSTA Spedition!